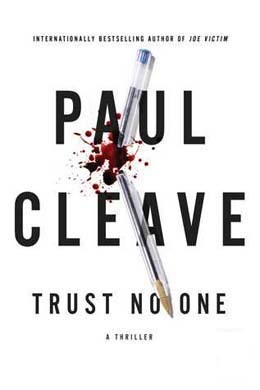 Heartfelt and thriller are not two terms that readers expect to see joined together to describe a new novel, but that is exactly what Paul Cleave’s new book, Trust No One is – a heartfelt thriller. In this stand-alone novel, Paul Cleave has created a conceit that is both ingeniously simple and utterly complex. Trust No One tells the story of Jerry Grey, a crime fiction author who has recently been diagnosed with early onset dementia. The present day story alternates with chapters which represent the journal entries Jerry makes in an attempt to remind himself of things that he is surely going to forget as his illness progresses. Jerry Grey’s fans know him as Henry Cutter – the pseudonym Jerry has used during this illustrious writing career. His current novel is with his editor and it would seem that the old spark is no longer there. This has done nothing to diminish the loyalty of his fans, one of whom visits Jerry regularly. 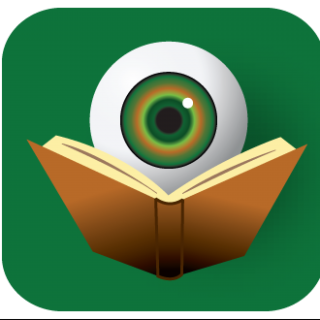 This obsessive fan character will certainly remind readers of Annie Wilkes from Stephen King’s Misery. But the worst of Jerry’s problems is that the Alzheimer’s is causing him no shortage of confusion. Jerry can’t understand why his wife is not visiting him at the nursing home, why his daughter seems distant, and why, even though he is not allowed to go outside, hospital staff claim he is leaving against their orders. Things only get worse for Jerry as he begins to believe that the fictional murders he wrote about in his novels were inspired by real life murders he may have actually committed. Unable to distinguish truth from fiction, Jerry finds himself floundering. Who can you turn to when you can’t even trust yourself? In Jerry Grey, Paul Cleave has created a character readers are going to immediately empathize with. Even as evidence begins to mount, readers will find it impossible to leave Jerry’s side. By manipulating the tropes of the standard thriller, Cleave has created a unique work readers will cherish for years to come. The idea of using dementia as both alibi and confessor is nothing short of brilliant. In Trust No One, Paul Cleave strikes the perfect blend of tragedy and dark humor. What could have been a dismal read is salvaged by Cleave’s mastery of point-of-view and tone. The journal entries alone make for fascinating reading, but contrasting them with actual events elicits unexpected responses from the reader. Good news – Trust No One and the character of Jerry Grey will linger in reader’s memory for as long as their mind remains healthy. Bad news – Jerry’s dementia means that it may be hard to believe anything you have read in Trust No One*. *This good news/bad news bit will mean more to you once you have read the book.